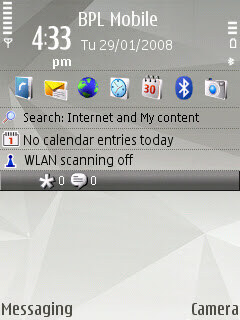 After upgrading to the latest 'Share Online' on my N95 8GB I see a new active standby item (see pic), seems like it shows comments on your uploaded stuff. 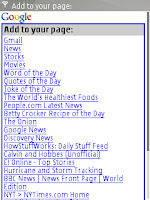 I think I've seen Flickr as one of the services earlier, but its not there yet. Will wait. They say 'With extended device support' for this version, and its also required if you want to install locationtagger. 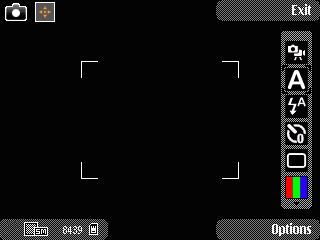 Location tagger when ON has a setting to show an icon on the viewfinder when the camera is on. So I believe the active standby addition and this location tagger icon is what they mean by extended device support. 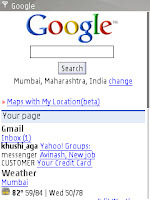 Locationtagger is cool but no Flickr service in Share Online is not. Check more about it here. 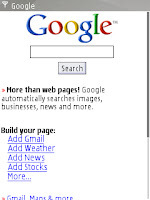 I found out that now even the mobile pages for google can be personalized. The music in this 5610 TV commercial is awesome, I've set it as my ringtone. Download ringtone from my MOSH account here. 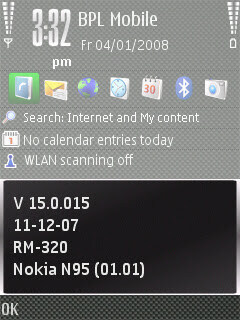 Nokia 6110 Navigator, support page up on Nokia India site. Hope the map covers most of India, metros and others alike. "While providing Navigation, are the "One-Ways" taken into consideration? In majority of the cases, the permanent one-ways are taken into consideration while giving navigation instructions. However, timed one-ways, i.e., those that are one direction for a certain time of the day and change at other times, are not taken into consideration. In case the phone is giving Navigation instructions and I "still" take a wrong turn, what happens? There is nothing to worry even if you take wrong turns. The re-routing feature in the Navigation takes into account your new location and starts re-routing and navigating you to your destination again. This ensures you don't get lost." FAQ page here, for further reading. Guess what, my name is there too. Categorized under "Broadband, Telecom, Mobile Phones, Gadgets, GPS" . From the other bloggers in the same category I personally know Veer and Vinu and have had some communication with Ray, Sidhartha and Varun. Good idea, but if the videos are large or if they would stream I think Rajshri should wait for 3G first.